The intensity of the discussion concerning education in Austria has increased throughout the last weeks. Various startups in and around Vienna are focusing on the topic as well. Three Coins is developing innovative trainings for financial education for young people to deal with money responsibly. Three Coins is a social business that aims at countering ignorance about how to handle your money with innovative financial education. 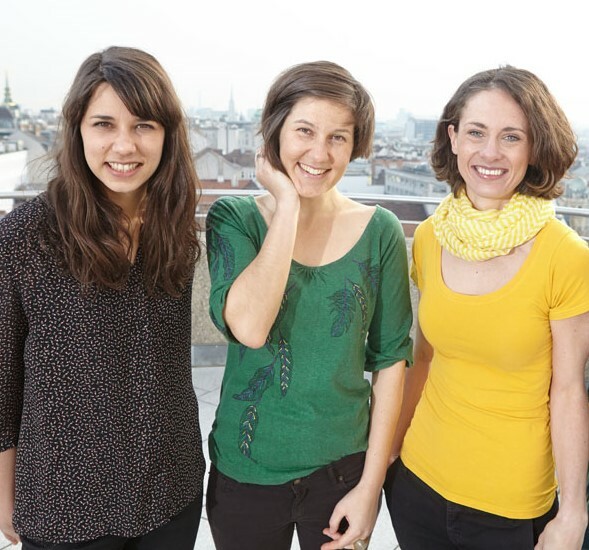 The startup, which is working from the Impact Hub Vienna targets young people between 14-19 years, families with migration background and young entrepreneurs. Their first successful project was a training format that included the smartphone game CURE Runners through which they created a new way of approaching the topic. The game takes place on an abandoned island in the pacific where the users participate in a race for power and truth and subconsciously learn the basics of responsibly handling money. During the workshop the learnings are reflected upon in an interactive session. Three Coins is closely working with schools, banks, debt counseling services and youth centers. Co-founder and CEO Katharina Norden has always had this entrepreneurial spirit, starting early to look for her own projects and ventures. At the age of 13 she founded a school magazine for primary schools. She got permission form her teachers to be absent from of some her classes to work on the magazine, sold advertising space to local companies like toyshops and distributed it to various primary schools. When Katharina gathered her first employment experiences she realized that she would have to start her own business rather sooner than later. Katharina explains: “I often had problems working with predefined structures while seeing the great potential for positive change.” She always knew that she would start a company that would create value for the society. Everything else was out of the question for her. 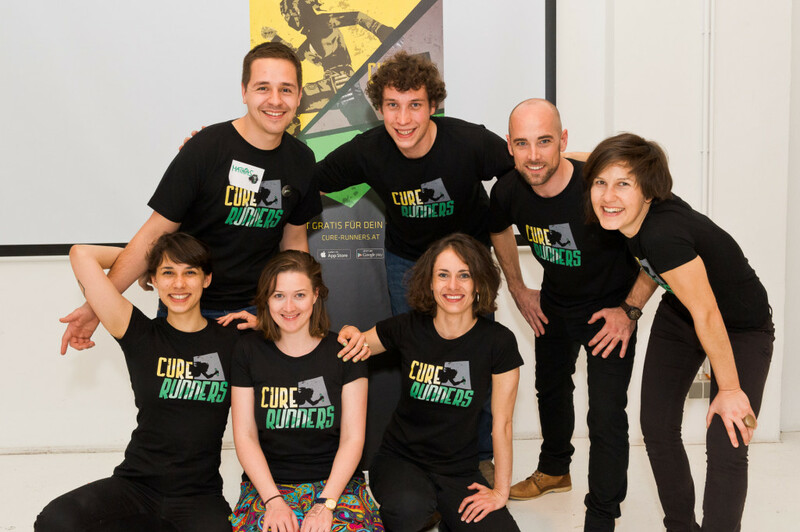 The first project CURE Runners started with the idea competition “Ideen gegen Armut” (Ideas against Poverty). Katharina Norden and Mathias Reisinger, who also co-founded the Impact Hub Vienna, were thinking about how to root out poverty. During their research they quickly found that the responsible handling of money was an issue. For the target group of young people between 14 and 19 years they decided on a gamified approach. 2011 they entered the competition with a draft concept for a Facebook game and were rewarded with € 41.000,- for their innovative idea. Katharina quit her full-time job and focused on her new project. The idea, storyline and educational concept came from game designer Doris Rusch who teaches serious game design at the DePaul University in Chicago. The game developers from ovos Media in Vienna brought the idea to live. The smartphone game has been available in the app stores since April 2014. Already during the first week CURE Runners registered more than 10.000 downloads. The team did not have a large budget for marketing and convinced schools, parents, teachers and youth counselors during personal conversations of their concept. The growing interest from the media helped the team to widen their network. Since then Three Coins started to cooperate with large institutions, financial service providers, public organizations and debt counseling services. The startup conducts workshops in schools and offers train-the-trainer programs. The game uses a lot of metaphors and on the first glance you would not suspect it to have anything to do with financial education. During the workshops the content of the game is reflected upon which increases the educational value. The managing team is currently counting three members. Co-founder and CEO Katharina Norden is mostly responsible for the creative work at Three Coins. Eva-Bettina Gruber studied business education and came to Three Coins after having worked in sustainability and international project management at the Austrian energy provider Verbund for 6 years. Stephan Dorfmeister has been a consultant for many years and takes care of all financial issues. Co-founder Mathias Reisinger is consulting the startup when it comes to strategic matters. The Three Coins team recently grew and is now counting six members. Every startup encounters some challenges sooner or later. Katharina: “Every challenge we were facing had a positive side to it from which we could learn and benefit.” In the beginning it was hard to convince people of their idea. “No” was a word they heard far too often. People tended to list all the things that could go wrong. Apart from this batch of pessimists there were some individuals that strongly believed in Three Coins’ vision and supported the team personally and financially. Within the first year they established an advisory board with 8 people from different companies and foundations. The future of Three Coins promises to be bright. The smartphone game CURE Runners will soon be available in Switzerland where the team is finalizing the licensing agreement with a local partner. And they already have new projects in the pipeline which will focus on the startup’s other target groups. Three Coins together with an Austrian bank is currently working on a bank account for young entrepreneurs that comes with financial coaching. It is Katharina’s wish that the mission of Three Coins is soon supported by even more people that believe in the startup’s ideas. The goal is to establish an innovative social business that can sustain itself in the long run.